The location for your wedding is still perhaps in planning stages, but it’s something you shouldn’t take lightly. Considering the ceremony is going to require decorating, accommodating guests, food, and wedding entertainment, the surroundings need careful scrutiny. 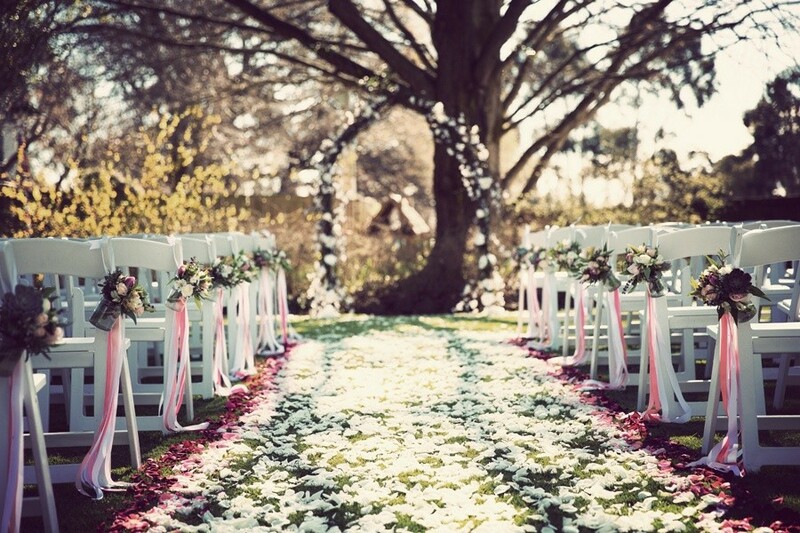 Here are some different ceremony location options for your wedding. Choices for location can vary widely, especially with all the opportunities available in the Sydney and Melbourne areas. So what are the pros and cons for some of the most popular choices? Whether it’s a church, park, or the beach, take some time to consider the logistics. Any wedding entertainers you hire play a big part in the decision. Places like the Bendooley Estate in NSW Southern Highlands show you what’s available in the way of private estates for your wedding. Booking time with a private estate is perhaps your best bet if you’re looking for a more secluded spot with added privacy. It also affords more options for indoor and outdoor space. Many private estates available for weddings offer spacious outdoor grounds, complete with scenic views and undercover areas. If you’re going to hold a wedding outdoors at an estate, always have plans ready to move undercover (or indoors) if a rainstorm suddenly hits. Also, look for convenient outdoor stage areas so your wedding singer or band have solid ground. Holding a wedding at a private estate typically costs more. Maybe a park is a better setting if wanting to stick to the outdoors. Most parks do have a use fee for weddings, yet you can gain a lot more in the long run. Parks are usually larger and have more variety if you have kids attending. They also have undercover areas like gazebos to hold your official ceremony. Keep in mind parks book up fast. Some of them hold hundreds of weddings per year, so schedule one early. If you’re going to hire wedding entertainers at the park, make sure they can perform in a protected area. Don’t make your wedding singer or band have to perform out in the elements. And make sure they have proper sound systems while maintaining sound ordinances. The variety of parks here in Australia are tremendous. Look at lists to find the best locale. With so many great beaches here in Australia (especially around Sydney), you should seriously consider holding your wedding ceremony along the coast. You’ll find many private estates along the beach if you don’t want your ceremony taking place directly on the beach. A major thing to consider first is to pick a beach during high season since you’ll find better weather then. During low season, it’s likely you’ll face torrential winds (and maybe rain) on a beautiful Sydney beach as you take your vows. Ceremonies on the beach require a portable power supply so your entertainers can play over the sound of crashing waves. Even talking on a beach can become drowned out by the surf, so consider some amplification tools. Those of you who want some tradition may prefer holding your ceremony in many of the amazing churches throughout Sydney and Melbourne. Take a look at lists of the best churches to give you an idea of what’s available. St. Mary’s Cathedral in Central Sydney is one of the best known, though also books up often. If you’re planning to book one of the best known cathedrals around Sydney, be sure to call many months in advance. Acoustics in most of them are perfect for wedding singers or bands. Nevertheless, visit the church with the entertainers in advance to test the echo effect.